What's it like to work in Austria? Ranked in 12th place in the World Happiness Report 2018, Austria's eight million-strong population enjoys a high standard of living due to its low unemployment rates and thriving economy. 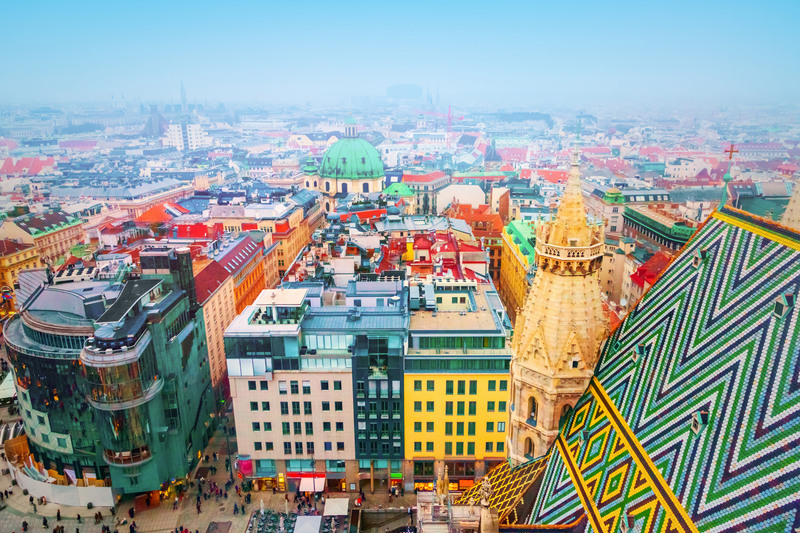 If you're a UK, European Union (EU) or European Economic Area (EEA) citizen, you won't need a work permit or visa to enter the country or look for employment, meaning relocating to Austria could be easier than you think. Making the move is also a great way to acquire a second language and give your CV a boost as, although English is widely spoken, German is Austria's official language and you'll need it to succeed in the workplace. On your days off you'll be kept occupied with an abundance of things to see and do. Austria is known for its beautiful landscapes and rich cultural history so you'll have opportunities to hike, ski, attend concerts, visit art galleries and museums and eat and drink in top restaurants and coffee houses. Find out if working in Austria is the right move for you. Austria's economy is currently strong, stable and, unlike other European countries, dominated by its small and medium sized enterprises (SMEs). As well as these, Austria boasts a 22% share of organic farms across the EU member states and is the EU field-leader in the generation of hydroelectric power. Austrians are also globally recognised for their high-quality arts and crafts, including jewellery, ceramics and glassware. 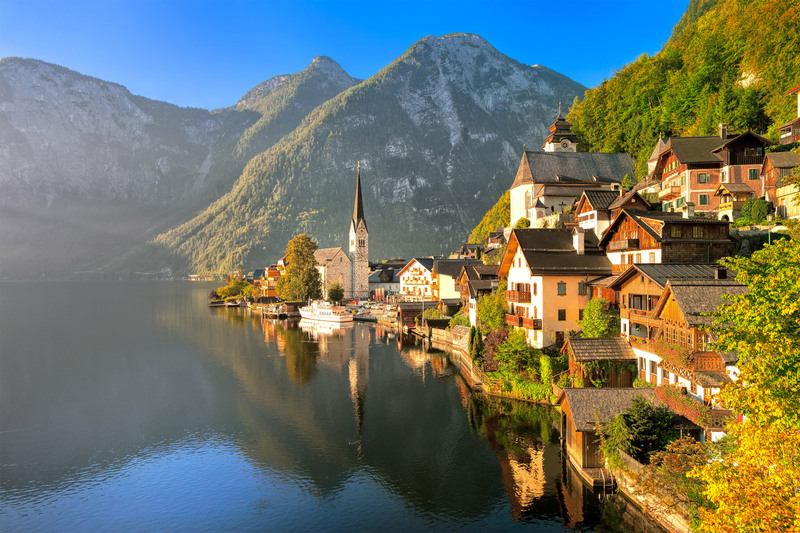 Unsurprisingly Austria is a popular holiday destination, thanks to the Alps and historical cities such as Vienna and Salzburg, so opportunities in the hospitality and tourism industry aren't hard to find. While a number of industries benefit from year-round employment opportunities, others are suffering shortages - particularly within the engineering sector and in manual labour roles. Visit for a full list of Austria's skills shortage areas. You can get the ball rolling as soon as you know you're making the move by searching for vacancies from your home country, using online jobs services such as . Although the popularity of online applications is increasing in Austria, not all employers favour this method. You may have to send your application via regular mail. When applying for a position, submit a concise CV with an attached photograph of yourself along with your qualification certificates. Include brief details of any previous relevant work experience, voluntary work and personal interests, as well as your details and previous education. Your CV should be a maximum of two pages long and accompanied by a cover letter, both written in German. If you're invited to interview, you'll need to dress formally and make sure you're on time - Austrian employers place high importance on punctuality. Austria has a variety of seasonal work on offer, with summer jobs available in a range of fields. You could work in the country's booming tourist industry in bars, clubs, restaurants or cafes. Alternatively, you could find work as a ski instructor in one of the country's famous resorts. There are also year-round opportunities for grape picking and au pair work. While usually poorly paid, you won't need to be fluent in German to work as an au pair and can typically expect food and accommodation to be included when taking up a position. Seasonal jobs are a great way of exploring Austria and the work experience they provide will look great on your CV. To search for seasonal opportunities in the country, see . Alternatively, if you're looking to gain some hands-on experience and can afford to support your trip, you could consider a volunteering placement. The European Commission (EC) funds , a scheme aimed at those aged 17 to 30 who want to volunteer abroad. Opportunities last between three months and one academic year and could see you working in areas such as environmental protection and social care. Your accommodation, travel, food and insurance costs are covered by a European grant, and you'll receive a personal allowance each month. - giving you the chance to volunteer on organic farms while getting to know the locals. Austrians are taught English as a second language from a young age, but there are still opportunities to teach English in the country. Competition for posts is tough - especially in popular spots, such as Vienna and Salzburg - but if you're TEFL or TESOL qualified you stand a good chance of securing a position. You could teach in a public school, private language academy or university, assisting a variety of students with a range of abilities. You could be teaching young children just starting to learn, or business professionals wanting to brush up their skills. The British Council offers around 100 language teaching assistant posts in Austria each year, for up to eight months from 1 October to 31 May (two school semesters). Alternatively, you can choose to teach for just one semester (either October - February or February - May). You'll be placed in two schools, expected to work for approximately 13 hours a week and will be paid €1,133 per month. The scheme is open to those under the age of 30 with competence in German to at least B1 standard. For more information, see the . Placements and internships in Austria are common and flexible, and range from just a few weeks to a year in length. Opportunities are listed on websites such as . Non-EU nationals will need to secure an if planning to embark on an internship in Austria. If you're looking to pursue a career in science or technology, the has information about year-round opportunities and their summer programme, the ISTernship. As an EU or EEA citizen, entering Austria and looking for employment is relatively simple - you don't need a visa to do either of these things. That being said, you'll face restrictions if you're coming from Croatia. You might not need a visa to enter Austria, but if you intend to stay for more than three months you'll need to apply for permanent residency within four months of your arrival, which you'll do through your local resident registration office. For the application, you'll supply evidence of your ability to financially support yourself for the duration of your stay. The EU Blue card - the blue card is a type of residence and work permit tied to specific job offer. You must hold a university degree to be granted a card, which entitles you to work for a period of up to two years. The Red-White-Red card - this is a points-based immigration system that enables you to work for an Austrian employer for up to 12 months. In order to qualify you must be highly qualified, a skilled worker in an occupation facing shortages, a self-employed key worker or a graduate of an Austrian university. The Jobseeker visa - allows highly-qualified non-EU citizens to look for work in Austria for a period of six months. If you secure employment during this time you must apply for the appropriate work permit. UK citizens may face difficulties in the future due to the uncertainty surrounding the country's changing relationship with the EU, but are not currently affected. The country is still treated as an EU member state. It's best to your local Austrian embassy or consulate to find out your specific visa requirements. See the for a list of representation authorities worldwide. As part of the 2010 National Action Plan for Integration (NAP), the Austrian Federal Government ruled that a solid grasp of German - spoken and written - is the basis of successful integration in Austria, from both a professional and social perspective. The , or the Austrian Language Diploma, is Austria's officially-recognised examination system for German as a foreign language. You can take the exam at centres in more than 45 countries around the world - in the UK, these are Aston University and The University of Nottingham. Other institutions and organisations also offer a variety of German language courses. For more information, visit the association of Austrian language schools . Thanks to the Bologna Process, an agreement between European countries to offer comparability in standards of teaching and quality of qualifications across Europe, any higher education qualifications you obtain in the UK are directly comparable to their Austrian counterparts. If you're heading to the country to work with a UK Bachelors, Masters or PhD, these will typically be recognised and accepted by Austrian employers. However, it's best to check with potential employers before submitting an application. To find out more about how your qualifications are recognised, see . As an employee in Austria you can expect to work an eight hour day and a 40 hour week. In some industries you may work a slightly shorter, 38 hour week. You'll be entitled to a generous five weeks of leave per year, increasing to six weeks after 25 years' service. This is in addition to the country's 13 annual paid public holidays. As there's no national statutory minimum wage, respective job sectors set their own by collective agreement. In rarer cases, individual employers will stipulate their own minimum wage. The country operates a progressive rate of income tax of 0-50%. The amount of tax you pay will depend on what you earn. Income tax and insurance contributions are deducted from your salary each month. For more information on tax and working conditions see . Discover what it's like to study in Austria.